They were merely boys, some just old enough to shave for the first time. The youngest was 15, the oldest 24. General John Cabell Breckenridge was adamant: the “boys” from the Virginia Military Institute would only be used as reinforcements and only, only in the most desperate of conditions. 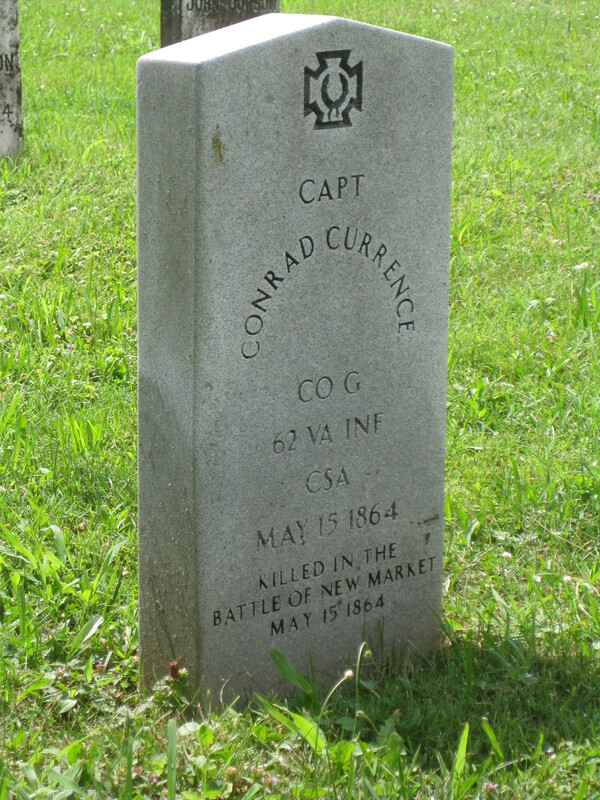 Marker dedicating the spot where the VMI cadets who fell at New Market were first buried. 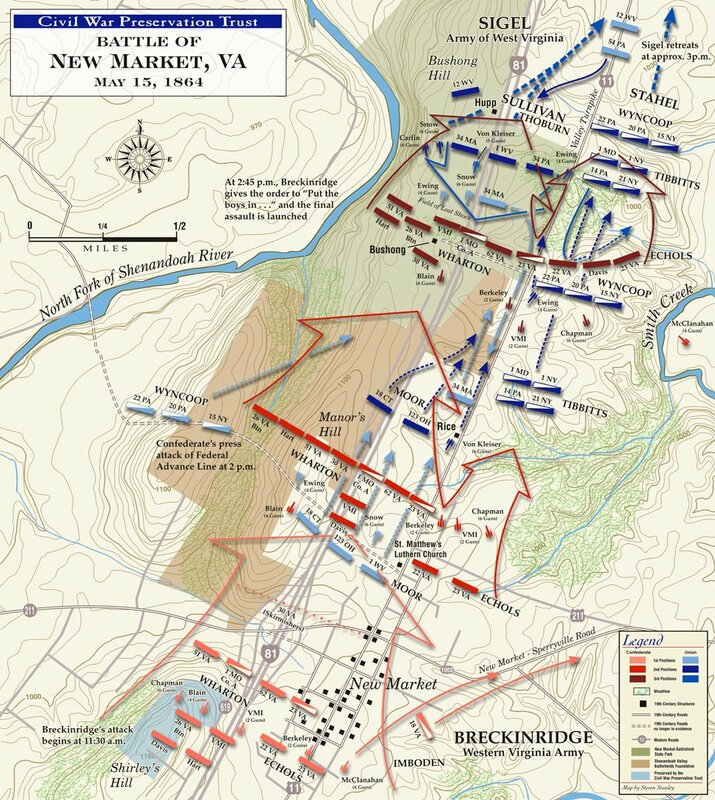 Confederate General Breckenridge hoped he wouldn’t need the cadets on May 15th at New Market. 257 young men, some hailing from the most prestigious families in the Old Dominion and the Confederacy, had marched approximately 80 miles. 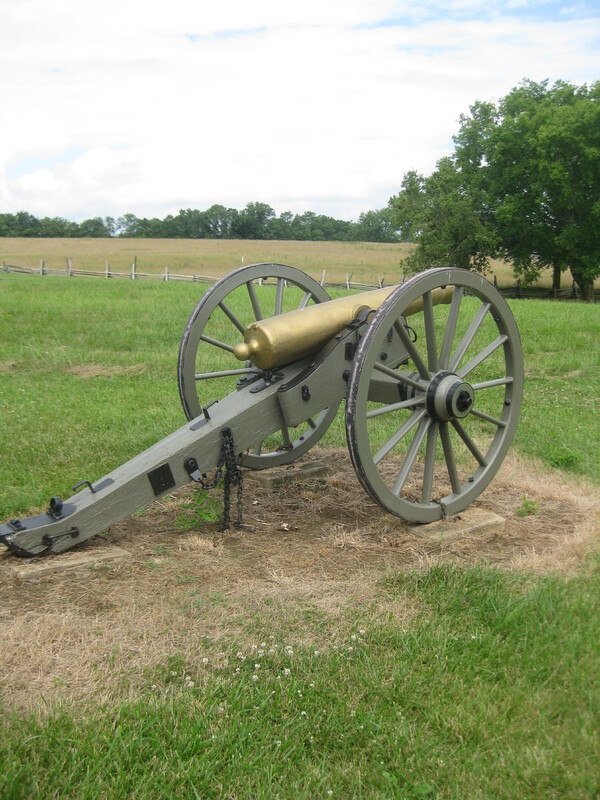 The Battle of New Market erupted on May 15, 1864, fought between the invading Union force, under Major General Franz Sigel and a hodgepodge force under General Breckenridge, the former vice president of the United States. Sigel’s goal was to take the Valley; the goal of Breckenridge was to stop the latest Union thrust. The cadets at VMI found themselves protecting home, hearth, and school. When a gap opened in the Confederate lines, Breckenridge realized that the only force available was the VMI cadets. 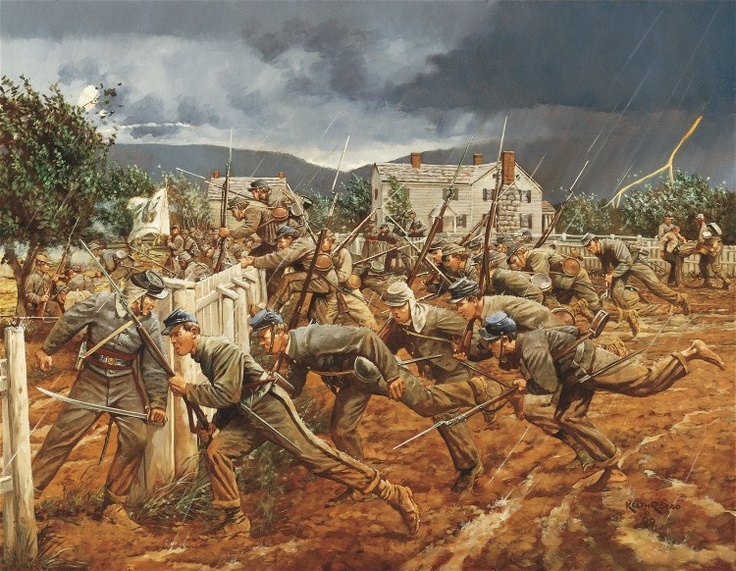 The charge of the VMI cadets remains the most noticeable feature of the Battle of New Market. With rain pouring the cadets broke the charge of the 34th Massachusetts Regiment and then advanced themselves in attack. When the day ended, 10 cadets had been killed and/or mortally wounded. Another 48 suffered wounds. Now, 150 years later, you can walk the same grounds, as the cadets, as the battlefield is now a state historical park while the museum is run by VMI. And every year, VMI cadets, come back to New Market, and learn the proud tradition, that was earned in blood on May 15, 1864. Although a Confederate victory that forced Sigel’s forces to retire, the fighting had just begun during the 1864 campaigning season. This battle would claim another 1,300 casualties out of roughly 10,000 engaged. A re-supplied and improved Union force, under Major General David Hunter would be the next Union force to strike up the Valley (in Shenandoah Valley geography, “down the Valley” is South and “up the Valley” is North). One of the stops Hunter’s army would make would be at VMI; where the torch was applied to the campus on June 11th. Hunter then marched off to his own demise, at the Battle of Lynchburg fought approximately week later. This entry was posted in Armies, Battlefields & Historic Places, Battles, Campaigns, Leadership--Confederate, Leadership--Federal, Personalities and tagged Battle of New Market, Franz Sigel, John Breckenridge, New Market Battlefield, Shenandoah Valley Campaign of 1864, VMI, VMI cadets. Bookmark the permalink. This is always one of the saddest events of the war. I have taught students this age for years, and I can say, without hesitancy, there is little pragmatism in young souls, but a mighty large amount of love, loyalty and idealism. Their deaths are especially poignant. Odd how these same Southerners were so eager to sign up and serve the Northern Commercial/Military Empire almost immediately. Spanish War, WWI, WWII, Korea, Vietnam, etc. One wonders if the position of the South might be improved by being more thoughtfully reluctant rather than enthusiastic lover of whatever war FedGov cooks up. I’m sick and tired of Dixie and our southern confederate ancestors continually being ridiculed by these politically correct liberals. They want to destroy us completely and turn us into hippocrates like they are! We will not disown our ancestors, we will not give up our battle flag, and monuments. These communists may destroy our monuments, desecrate our confederate soldiers graves, burn our flags but they will never, ever take our heritage away from us. What they fail to recognize is the blood that flows through our veins are forever the same as our confederate ancestors. No matter how much you brainwash our children our confederate blood will remain in us for eternity. Whatever verbiage was used they were still boys and fought bravely. Deo Vin dice! Since the VMI cadets ages ranged from 15 years to 24 year old, definitely some were mere boys while some were young male adults. All fought bravely and as a result of Duty, Honor, Courage, 10 rendered the utmost ultimate sacrifice on the battlefield. Major General John Cabell Breckinridge is my 13th blood cousin twice removed on my father’s, Louis McClanahan, family side and I am a blood cousin, on my father’s family side, to 8 of the 10 VMI cadets who were outright killed or mortally wounded as the result of the battle and I have a family marriage ties to 1 of the 10 VMI cadets also killed during the battle as a result of my 2nd great-grandfather’s, Thomas Marshall McClanahan, first marriage to Ann Green. Since the VMI cadets ages ranged from 15 years to 24 years old, some were boys and some were young male adults and they did fought bravely with 10 rendering the utmost ultimate sacrifice resulting being on a battlefield. 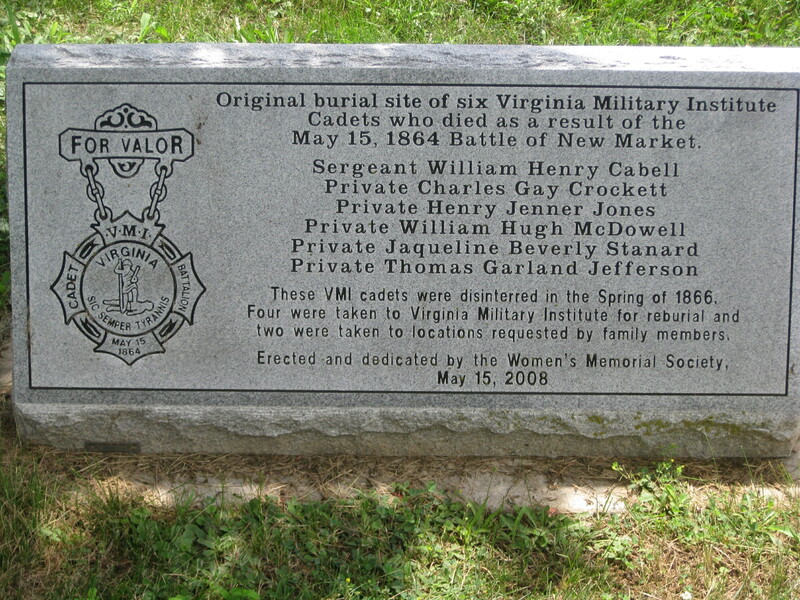 In addition to Major General John Cabell Breckinridge (CSA) being my 13th blood cousin twice removed on my father’s, Louis McClanahan, family side, 8 of the 10 VMI cadets who were killed or mortally wounded as a result of the Battle of New Market, Virginia, and I are blood cousins on my father’s family side and 1 of the 10 VMI cadets killed at the battle and I are not blood related; however, we have family marriage ties as a result of my 2nd great-grandfather’s, Thomas Marshall McClanahan, marriage to his first wife, Ann Green.